Pearl Jam delivered monster 90s alternative hits and performed epically unpredictable live shows. Images from the Jane Scott Papers, the Philadelphia Inquirer Photographs, and the Robert and Margo Roth Collection of Handbills, Postcards, and Posters at the Rock and Roll Hall of Fame Library and Archives. This article discusses the Pearl Jam/Neil Young collaborative album "Mirrorball" and follow-up concerts they played together. A 1995 reissue of the 1899 home health reference book that inspired Pearl Jam's third album of the same name. Chapter 2 discusses the Pearl Jam vs. Nirvana rivalry. 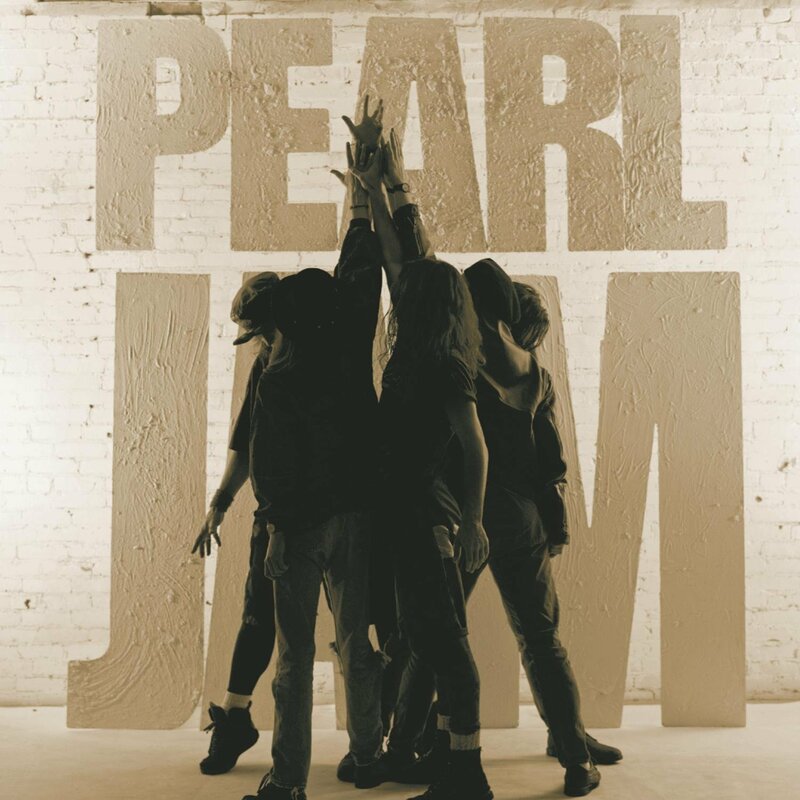 All of our books on Pearl Jam can be found here. Biography. Revised and updated for Pearl Jam's 20th anniversary. 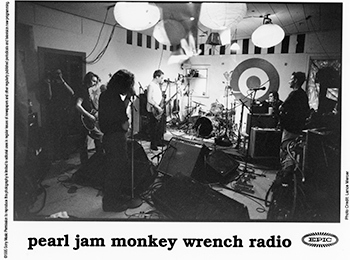 All archival materials related to Pearl Jam can be found here. Listed below are notable collections and items of interest. Rock critic for the Plain Dealer from 1952-2002. 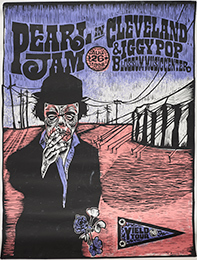 This collection includes materials related to Pearl Jam including promotional materials, press and backstage passes, and a concert poster for the Pearl Jam and Iggy Pop Yield Tour at Blossom Music Center in 1998. 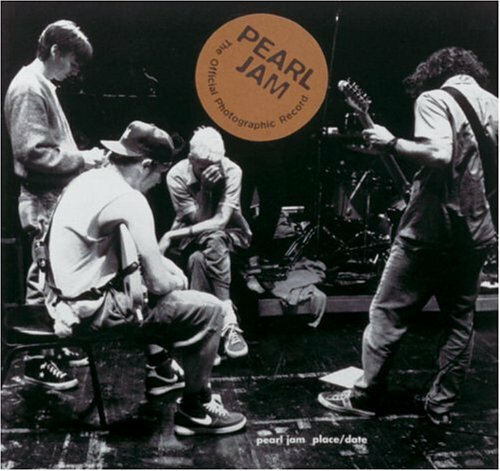 This collection includes two bootleg concert recordings of Pearl Jam, one from 1995 at the Henry Adams Fieldhouse in Missoula, Montana, and the other from Toledo, Ohio in 2004. 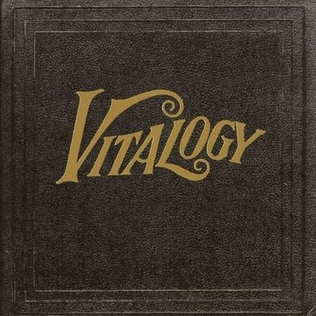 This collection includes posters and promotional displays for Pearl Jam albums Twenty, Vs., and Vitalogy. A tour contract for the 1998 Iggy Pop and Pearl Jam tour from the Art Collins Papers Collection. 1991 poster from the Jeff Gold Collection. Moving images from the Curatorial Affairs Division Records Collection. Annie Clark, St. Vincent: "When I was 10, Pearl Jam Ten came out; the first time I heard it I remember being at my friend’s house and MTV was on. I saw the video for 'Jeremy' — that would have been fourth grade, and then it was like, OK, I know what I want to do. I was just completely obsessed with Pearl Jam. When I was first playing guitar when I was 12 and writing my own songs, I was doing an Eddie Vedder impression." Jim James, My Morning Jacket: "I was insanely, crazily a fan. I'm still a big fan, but back then we were over the edge...Some of those songs I just really, really loved, and seeing them play just really transported me back to what made me love music in the first place." Carrie Brownstein, Sleater Kinney: "And for the best of these performers, among whom I count Eddie Vedder, there is no holding back, no wasted moment. 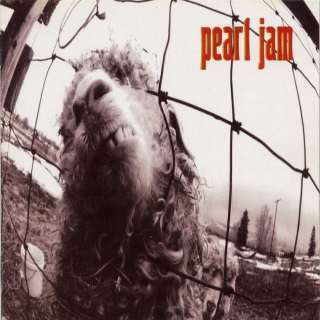 What I discovered was that Pearl Jam's music was soaring. 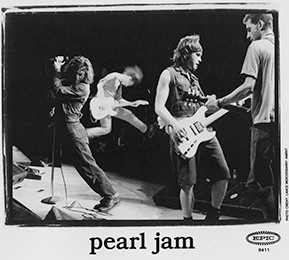 Vedder's lyrics spoke to pain and anger but offered a way out; there was a hopefulness to them...Touring with Pearl Jam allowed me to see how diminishing and stifling it is to close yourself off to new experiences. It was a tour that changed my life." Wayne Coyne, Flaming Lips: "If you’re lucky you gravitate towards people who go about their day the same way you do. And to run into Pearl Jam and Eddie Vedder and go, 'Oh, those guys are into this because they love the music and to have a good time. It’s not about egos and showing who’s more powerful.'"